Does anyone know what this bird is? 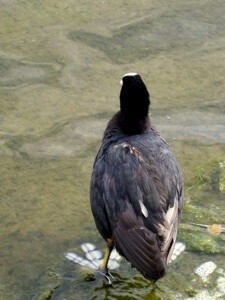 We photographed it in Kensington Park in London last month. His feet look like they are feathers. but he swims like a duck. 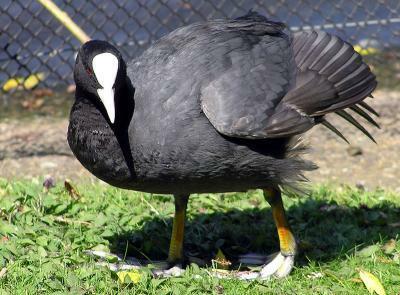 The bird is called a Coot. I have it is my Audubon Book.